“Organic” is today’s buzz word when it comes to food – we are living in a culture that (rightfully) only cares to digest and absorb the best, most ethical produce and ingredients available. But what about the ingredients we put ON our bodies? With natural beauty lines now widely available, it is becoming common practice to leave the chemical-ridden products behind. I’ve recently started to transition over, too. 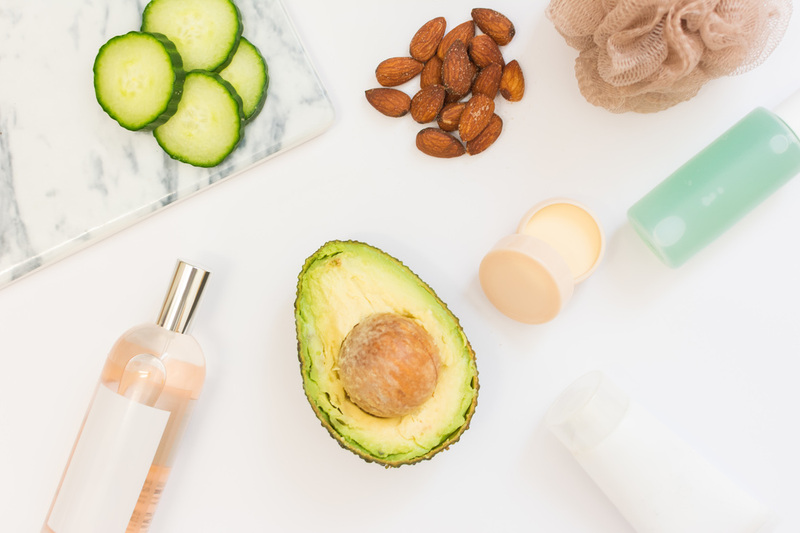 In trying to navigate the high prices that can sometimes be associated with “organic, natural, ethical” products, I have come across a few gems that work magic, but don’t break the bank. The Eminence line of beauty products is acclaimed by anyone who knows of it. And the key ingredient – stone crop serum – is a miracle worker. This body wash is great for all skin types and uneven skin tones. It is deep cleansing and boosts your skins hydration levels. Move the coconut oil from your pantry to your beauty regime. Coconut oil has innumerable health benefits and nutritionists swear by it. Not only does it pack a punch of nutritious value, it is also a miracle worker when it comes to beauty. Use it as a hair mask to get a shiny mane or try it as a moisturizer. For some skin types coconut oil might be too heavy, but don’t rule it out there – use it as a teeth whitener! I’ve traded out white strips for coconut oil and it works wonders. Swish a teaspoon of coconut oil around your mouth for about 15 minutes and then spit into a garbage for a brilliantly white smile! Click here to read on about the health benefits of coconut oil. This little jar of lightweight magic comes in at the highest price point on our list – but is completely worth it. 100 percent pure argan oil, I’ve used it as a cuticle oil and as a lightweight moisturizer for my skin. Organically grown in Morocco, the oil has conditioning and anti-aging properties to promote hydrated and youthful skin. Did you know that these little balls of lip balm are 95% natural!? Neither did I. And as affordable as they are, there is really no better option for a natural lip balm. Until recently, I used the same brand of mascara since I was in the twelfth grade. In the last year or so, I began to notice that my eyes were getting red and irritated – almost on a daily basis. I decided it was time to quit lacing my eyes in harmful chemicals and went on a search for a natural mascara. Fearful of natural beauty price points and skeptical that an “organic” mascara could ever fill the shoes of the mascara I had always used, I was unsure that I would anything at all. Luckily, I stumbled upon Terra 20 – a natural beauty store that offers a huge selection of natural beauty products. A consultant guided me to Pure Anada’s Black Mascara. Made in Canada, Pure Anada is a beautiful line of natural cosmetics. Roughly 5% of makeup brands actually produce their own products. Pure Anada products are made in their own lab and manufacturing facility in Manitoba which gives them full control over what goes into each product. Not only are their products free from toxins and ethically produced, but they are all free of the most common allergens found in mascara. I gave it a whirl, LOVED the results and, at only $14 a bottle, I had found a winner. What are your favourite natural beauty products? Leave a comment below and let us know!